You'll be amazed at the bright flavor of homemade mayonnaise. This recipe is simple and fast to make with a blender or food processor. Variations are given for flavored mayonnaises as well. But what exactly is mayonnaise? 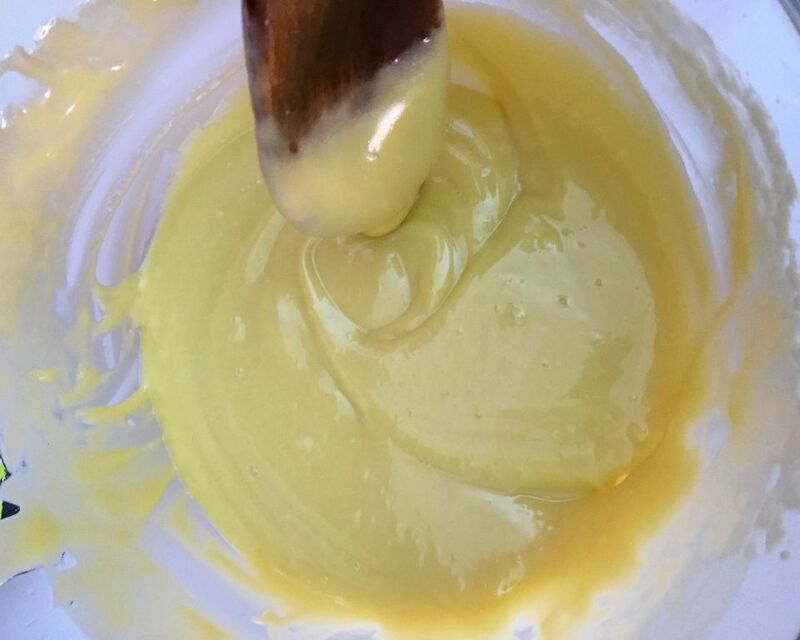 It is an emulsion of egg yolks, lemon juice or vinegar, vegetable or olive oil, and seasonings that are used as a condiment. Without egg yolks, this would be labeled salad dressing rather than mayonnaise. Recipe reprinted with permission from The New Doubleday Cookbook by Jean Anderson & Elaine Hanna (Doubleday). Add about 1/4 cup oil, drop by drop, beating vigorously all the while. Add another 1/4 cup oil, a few drops at a time, beating vigorously all the while. Beat in another teaspoon each lemon juice and water. Add 1/2 cup oil in a very fine steady stream, beating constantly, then mix in remaining lemon juice and water; slowly beat in remaining oil. If you like, thin the mayonnaise with a little additional hot water. Do not keep longer than 1 week. Place yolks, salt, mustard, sugar, pepper, and 3 teaspoons lemon juice in blender cup or work bowl of a food processor fitted with the metal chopping blade, and buzz 15 seconds (use low blender speed). Now, with motor running, slowly drizzle in 1/4 cup oil (use moderately high blender speed). As mixture begins to thicken, continue adding oil in a fine steady stream, alternating with hot water and remaining lemon juice. Prepare mayonnaise as directed, then mix in 1 tablespoon each minced capers and gherkins, 2 teaspoons each anchovy paste and Dijon mustard, and 1 teaspoon each minced parsley and fresh chervil. Serve with seafood or use to dress cold vegetable salads or sliced tomatoes. Prepare mayonnaise as directed and set aside. Mix 2 tablespoons tomato purée with 2 minced pimientos and 1/2 clove crushed garlic. Press through a fine sieve and blend into mayonnaise. Prepare mayonnaise, then mix in 1/4 cup black or red caviar, 1/2 cup sour cream, and 1 tablespoon minced fresh dill. Prepare mayonnaise, then mix in 4 teaspoons Dijon mustard. Prepare mayonnaise, then blend in 1 to 2 teaspoons curry powder. Prepare mayonnaise, then fold in 1/2 cup heavy cream, beaten to soft peaks. Prepare mayonnaise, then beat in 3 tablespoons each orange juice and superfine sugar, 1 teaspoon finely grated orange rind, and a pinch nutmeg. For added zip, mix in 1 tablespoon Grand Marnier or other fruit liqueur. Prepare mayonnaise, then thin to desired consistency by beating in hot water, a tablespoon at a time. Source: The New Doubleday Cookbook by Jean Anderson & Elaine Hanna (Doubleday). Reprinted with permission.